The earth is a very big place. Yes, it may be growing a bit smaller. (Google "shrinking globe" and you'll find dozens of essays about how interconnected we all are.) But world history projects reveal just how illusory this globalization is. Each country, each region, each town has its own story. Weaving the stories together into one can feel like writing the definitive account of a devastating multi-generational family argument: You're not going to do anyone's version of the quarrel complete justice. In world histories, every narrative thread distorts some other part of the story. A chronicle that does a marvelous job with Europe warps the Asian past (the Durants); an account that fairly treats the development of East and West leaves out human personality (J. M. Roberts); a tale that balances human interest with political and military developments ignores culture and the arts (that would be me). 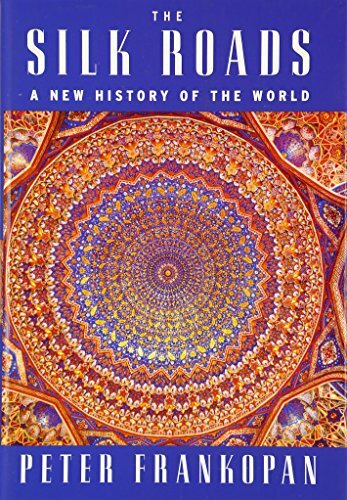 Peter Frankopan joins the world history effort with The Silk Roads: A New History of the World. His particular narrative thread traces the encounters of Western and Eastern goods, ideas, and people, as European nations push eastward along the multiple trade routes leading to Asia and Eastern cultures do the same, pointing west; the "Middle East" becomes the matrix where the two collide.